It's always fun to see my top posts of 2017, and I will be sharing the top 10 for my blog in a couple of days, but I thought it would also be fun to see the top post from a bunch of other awesome craft bloggers - a list of the very top post of 2017 from lots of craft bloggers... and I have that here for you today!! Over 30 of the The Best of the Best Crafts of 2017. It is kind of fun to see the things that were popular on different blogs this year, and to see some trends and similaritites among all of the projects. There seemed to be a lot of bright, colorful projects. There was more that one post about unicorns, bows and slime. Fall projects always seem to be pretty popular too. 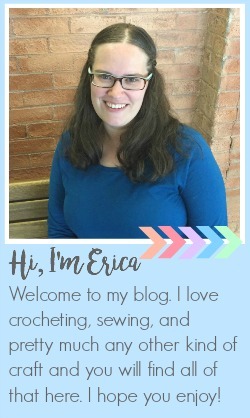 I was actually realy surprised by my most popular post, the crocheted unicorn hat, because even though it was one of my favorite posts this year it was also pretty recent so I was surprised to see that it had out done all of my other posts in that short time. Check back in a couple of days to see all of my top ten posts from this year.